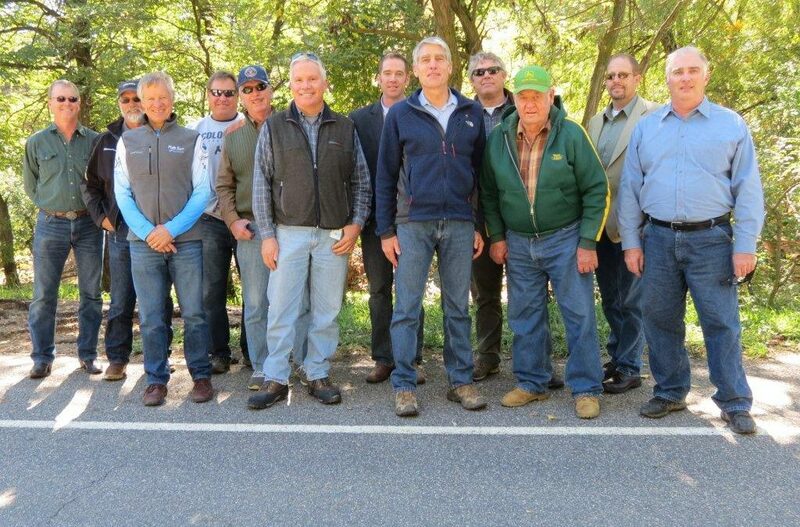 In October of 2013, Senator Mark Udall of Eldorado Springs, Colorado visited flood-damaged Longmont. 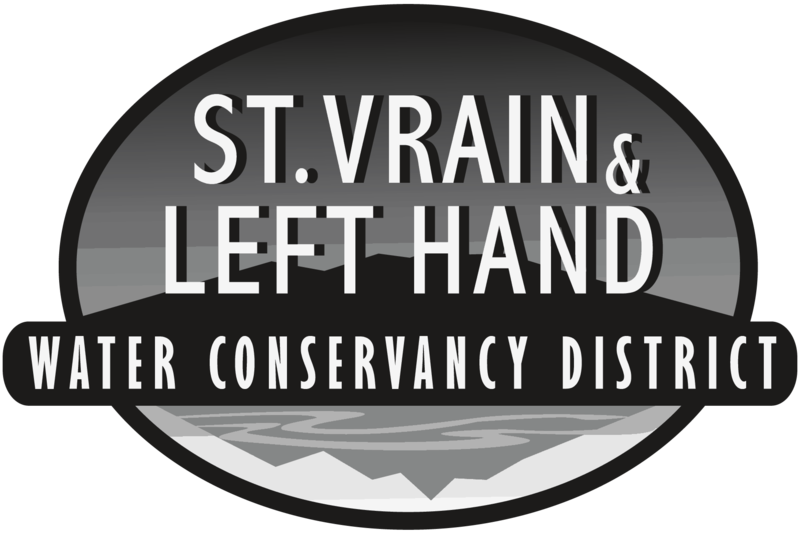 He met with District Executive Director Sean Cronin and representatives from other water management and agricultural groups. 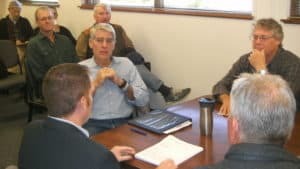 During his visit, Senator Udall was able to see and hear first-hand the destruction caused by the recent flooding, as well as the expected costs of repairs and restoration to meet agricultural and residential water needs. 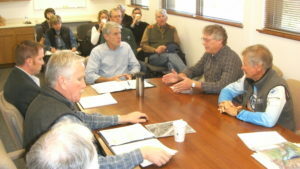 Local representatives hoped that Senator Udall’s visit would expedite FEMA’s response to the pressing needs for restoration and recovery in the area. 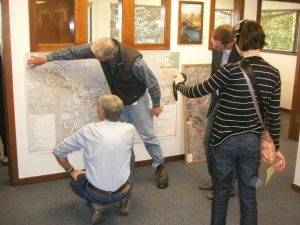 In addition to meeting with local agency officials, Senator Udall was able to tour flood-damaged areas.